From a small Bedouin Village to a global entertainment hub, this United Arab Emirates city has transformed into one of the most visited travel destinations of the world. Apart from being a world-famous shopping destination, Dubai has a lot of unique experiences and adventures to offer. So, if you’ve booked your Dubai Tour Packages, we have compiled a list of things to do while you’re there. 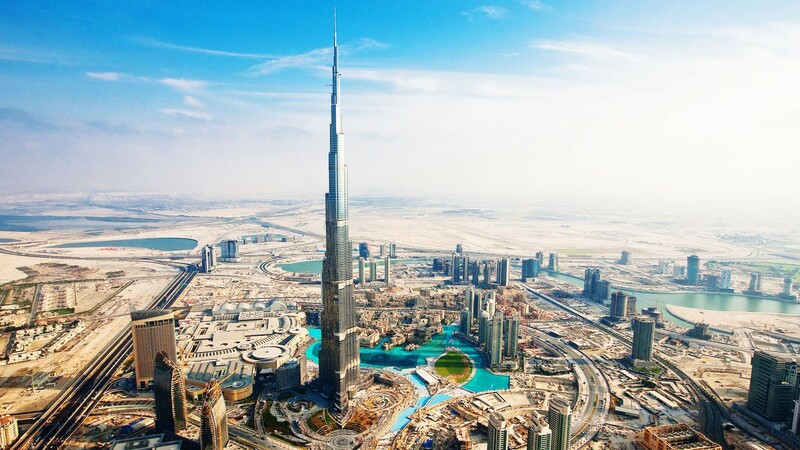 Get an exclusive view of the city by visiting the tallest building in the world. This magnificent building boasts of two observation decks – one on level 124 and the second at 148th level-the highest in the world. With over 1200 retail outlets and 150 restaurants, Dubai mall offers one of a kind shopping experience. The mall is home to an Underwater Zoo, Aquarium and a humongous ice skating rink as well. Witness a free show of the world’s biggest choreographed fountain show outside Dubai Mall in all its grandeur. With colorful jets going as high as 150 m, these shows provide an experience of a lifetime. A seasonal and cultural event, the Global Village lets you visit the entire world in one place. With representations from over 30 countries, you can shop, dine and entertain yourselves with various live performances. Lying directly within the Arabian Desert, Dubai is an ideal place to go to Desert Safari. Hop in an air-conditioned ride and explore the sea of sand as you ride the dunes and experience the Bedouin era with a twist of luxury. Experience the ultimate aerial adventure by taking a skydive over Palm Jumeirah and enjoy the bird’s eye view of the marvelous beauty of the amazing palm-shaped island and the clear water around. This sprawling flower garden, with giant flower-covered buildings and fields of mesmerizing flower patterns, will make you forget the scorching heat of the desert. Away from the glitz and glamour of the city, Dubai Creek is awash with the history of Dubai. The saltwater estuary is home to the famous Dubai Museum. A ride across the water on a traditional Abra will fill you with peace and tranquility. If you are a fan of waters sports, you must try flyboarding over the Persian Gulf. Fly high above the water on a board connected to a watercraft by a long hose and experience the adrenaline in your body rise. Spend your day hydrating your skin and chilling in water at Aquaventure Waterpark, one of Dubai’s biggest waterparks. With big slides and humongous pools, you’re guaranteed to have fun. So, book your Dubai Tour Packages, pack your bags, get your Dubai visa and let the fun begin.